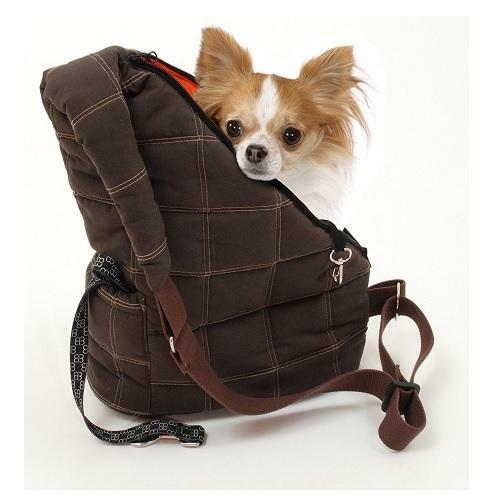 The Messenger Pooch Pouch designed by Emanuele Bianchi is an attractive and accommodating messenger style dog carrier for dogs up to13 pounds (5.9 kg) . It is perfect for small animals such as rabbits, ferrets, toy size dogs, and kittens. Locking zip cursors allow you to create customized levels of opening for different size dogs.